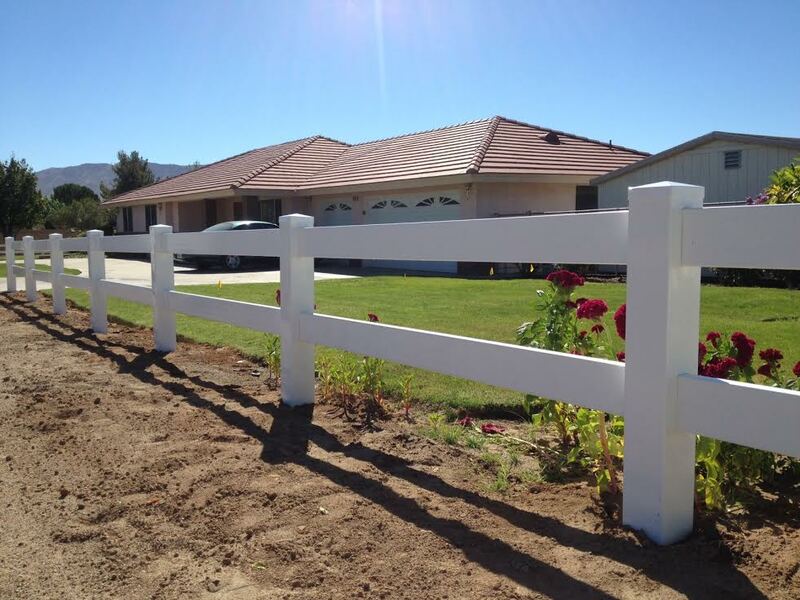 If you want to set your property's boundaries and give your “homestead” that big-country feel by adding a ranch style vinyl fence, fencing from All American Fence Erectors is the perfect choice. 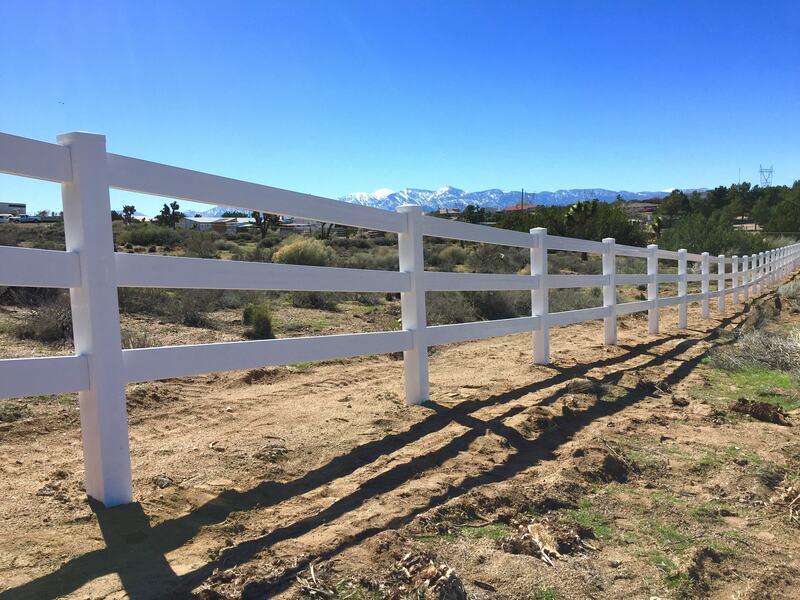 We can install a ranch style vinyl fence near the property line surrounding your entire tract or just around your yard anywhere in the High Desert area. Whether you want the added curb-appeal of a 2-rail or the more prominent 3-rail design, ranch style vinyl fence adds value to your property. Contact us today, and a specialist will set an appointment to visit you so we can get started on your fence. Once we've given you a written estimate and the contract is signed, we'll set a start date, usually within 2-3 weeks. We'll pour concrete and set the posts on the first day. 2-4 business days later, after the concrete is set, we'll add the cross-rails and install your custom vinyl-look steel gate that resists sagging. In just a few weeks, you can enjoy your new fenced yard. If you're ready to get an eye-popping, maintenance-free ranch style vinyl fence, contact All American Fence Erectors to get the job done right. Upon getting a written quote from our salesmen and once the contract has been signed, we would then schedule a date to start. Depending on how busy we are at that particular time will depend on how long it would take us to start. Most jobs take one day to set all the posts, then one day to install the horizontal rails. NOTE: Usually, 2-4 business days between start to finish date for the concrete to cure properly.